Here at Colehill Tree Services Ltd our tree care services range from tree felling in Stour, dismantling in tight spaces and removal. Professionalism, experience and a comprehensive list of qualifications make us a trusted and well-respected choice for tree felling, pruning or stump removals. Our knowledge, love of trees and pride in our work make us the choice of the more discerning client in Stour. Contact us now for a free quotation. Sometimes trees need to be completely removed by a professional tree surgeon. Tree felling maybe needed due to disease, dead trees, unsafe branches or just outgrowing the garden they are in. We believe in giving great customer service and are consistent in our work practices, this has meant that many of our clients use our services over and over again. Looking for a commercial tree surgeon? 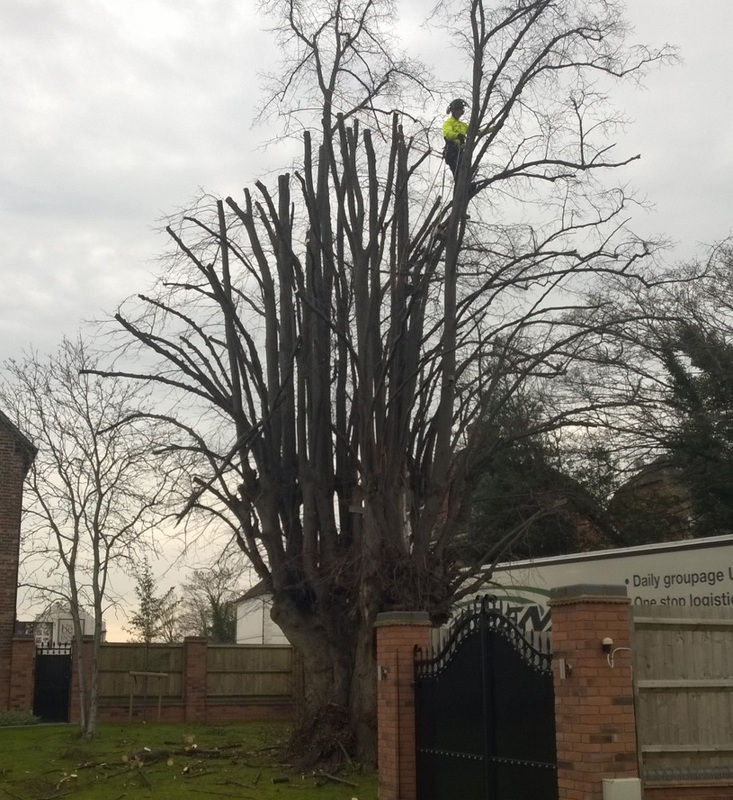 If you require a professional tree surgeon for a larger scale project, perhaps for a park, housing estate or woodlands area, Coleshill Tree Services also provide reliable commercial tree surgery services. Tree Removals are completed in different ways according to the size of the tree, the layout of the site, and the obstacles beneath it. Sectional Felling – we will climb the tree and remove branches in order, carefully lowering and directing branches to the ground on ropes to avoid obstacles such as buildings. Clear Felling – this method cuts tree trunks at the base which then fall in a predetermined direction with or without the aid of ropes and rigging. If there is enough space, the tree felling technique can be used where a tree is pulled down intact. This techniques requires precision and skill to ensure that the tree falls properly.